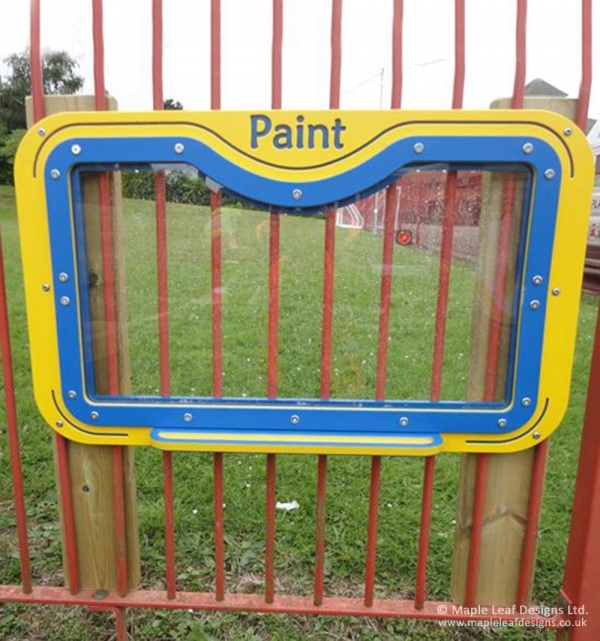 Our HDPE Paint Panel is a bright and colourful way to take mark making into the playground. The polycarbonate panel takes water-based paints with ease, and even when dried on the paint is easily removable. It’s a real must-have alongside our other HDPE mark making panels, all of which can be made to match in a variety of colours.